You know this thing about Mack and Moxy Games? Mack and Moxy games category is the place where you can play the most interesting games with your heroes from cartoons, from the new Netflix series with the same name. Our team is going to do its best to bring you the newest and the most exciting games with your favorite heroes from cartoons, as usual. In Mack and Moxy Games you can find 3 games that we've published for these kids and childrens that are interested to play Mack and Moxy Games, this game gategory have been created on 15.02.2017. 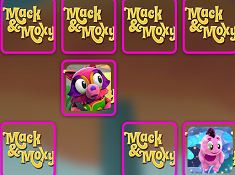 These games with Mack and Moxy Games have been voted 1 times and the avarage of vote is 5.00 stars. We advice you to play the last flash game from Mack and Moxy Games, Mack and Moxy Avoider that have been published on 16.02.2017 04:01. Mack and Moxy Avoider its a part of Mack and Moxy Games category and until now its played 572 times. Try it now on Cute-Games.com! If your like the Mack and Moxy Avoider game you can write a comment in the game page. Recommend this game to your friends if you like it! Mack and Moxy Memory its a part of Mack and Moxy Games category and until now its played 665 times. Try it now on Cute-Games.com! If your like the Mack and Moxy Memory game you can write a comment in the game page. Recommend this game to your friends if you like it! Mack and Moxy Coloring its a part of Mack and Moxy Games category and until now its played 643 times. Try it now on Cute-Games.com! 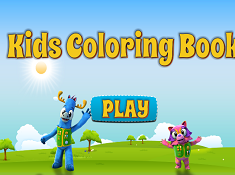 If your like the Mack and Moxy Coloring game you can write a comment in the game page. Recommend this game to your friends if you like it! Find More About Mack and Moxy Games! Mack and Moxy games category is something new where all you have to do is to focus. In all the games from Mack and Moxy games category you should be careful at the indications if you want to learn the exact things that you have to do to complete your goal successfully. These games with Mack and Moxy are going to test your skills so you need attention, agility, observation spirit, creativity, according to the game you play. In the Mack and Moxy games category you will have a lot of challenges and you have to be ready for anything. If you do not focus you will not be able to complete your goal successfully so be very careful and do your best to make sure that you will impress our heroes with your skills. Here you have games for girls and also games for girls, I am sure you can find something you like. There are going to be two games at the beginning, an avoider game and a coloring game. In the first one you should use your attention and agility because you have to avoid some emoji. They are coming from the top and if you are hit you will lose and the game has to be restarted. It is important to survive a long time if you want a big score in this game, if you want the chance to enter in the top of the best players in the world. If you can not make it from the first attempt you should try again and again because only with training you will become a better player. The second game requires creativity and patience because without those skills you will not be able to create some great images with Mack and Moxy. You will use the mouse in this coloring game to complete your goal. At the end of this creativity game from Mack and Moxy games category you can save the final result on your computer or event print it, to have a nice memory with the work you have done. If you are not satisfied with the final result the game gives you the opportunity to try again, to start from the beginning. These are going to be only the first games from Mack and Moxy games category, because in the future we have more surprises for you. You have to be ready for anything because our team is going to give you a lot of challenges. I am sure you will enjoy the Mack and Moxy games category and you will want to help us promote it for all the kids. You have to give us a simple like or a g plus if you want to help us promote the Mack and Moxy games category for all the girls and the boys who love the Netflix animated series. You can also leave us comment in these games. There you can tell us what do you think about the show and the category. Our team is going to surprise you every week, every day with new categories like this one categories with your favorite heroes from movies, cartoons, stories and so on. This series is about compassion, the pleasure to help others, and charity. The series has a simple goal, to learn children important life lessons. The series follows the adventures of Mack, a moose, and Moxy, a raccoon. The friends are going to have a lot of funny adventures and they are going to meet a lot of obstacles. They learn how to get over the obstacles and how to learn things and having fun in the same time. The kids have a lot of things to learn from them so I am sure all the parents will let the kids watch the show. In every episode Mack and Moxy meet a person who needs help and they are introduced to a new cause. With the help of the children who are in front of the TVs they have to find a solution to help the person in need. They will interact with the kids, ask question and have fun. Mack is a fun loving moose, he can make friends very fast everywhere. He has a lot of energy and he is always ready for a new adventure. Depending on the situation he is always ready to dance, lead the team in a mission, have some fun. Moxy is very optimistic and I am sure you will love her attitude. In every episode our heroes must rescue the Great Helpee. There is another important character in the series, the Trooper, which is a child selected from the fans. He is going to help the heroes in their adventures in the rescuing of the Great helpee. The Admirable is another important character which is the boss of the heroes, he sends them in their missions in every episode. I think you will enjoy the Mack and Moxy games category and you will have a great time playing these games.